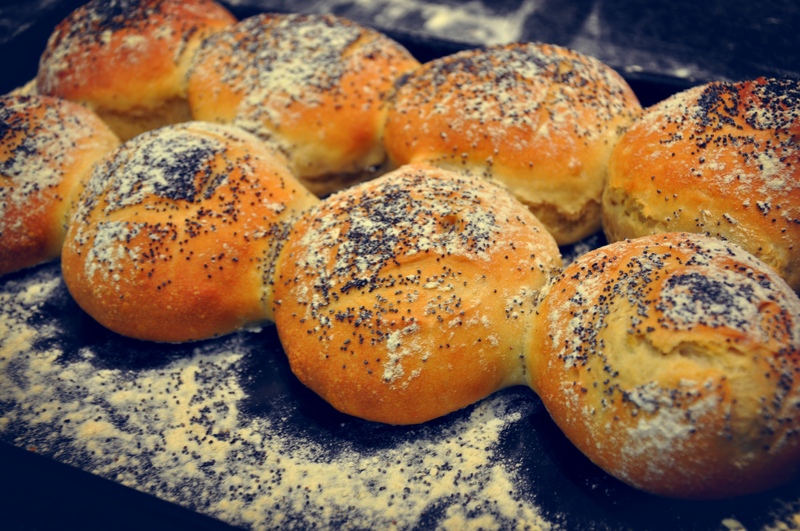 These soft rolls are perfect along side a steaming bowl of soup or for sandwiches / burgers. If rolled into a more cylindrical shape they would make an excellent receptacle for a hot dog. There are a few more ingredients that my basic white loaf, oil and butter give a nice soft crumb which is what I am after with these batch rolls and the egg helps to make a nice light bread. 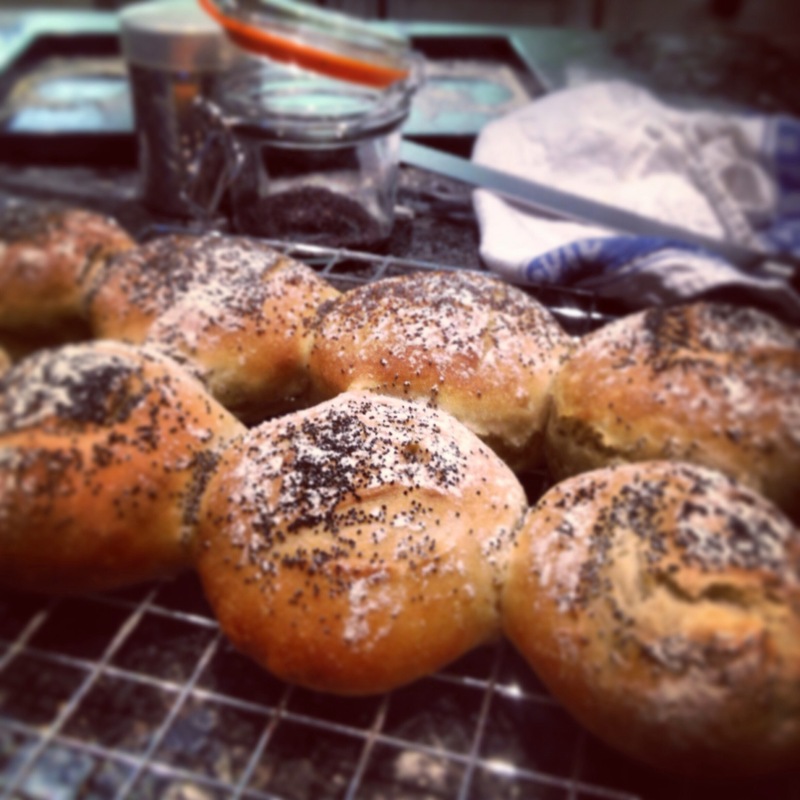 please see my bread post for details on kneading. Add flour, salt, butter and oil to a mixing bowl, use fingers to crumble the butter in until it resembles breadcrumbs. Add all other ingredients except poppy seeds and use a spatula or dough scraper to combine in the bowl before turning out onto a clean work surface and kneading. Do not dust the work surface with flour, even if the dough appears too wet. As with all bread recipes, adding too much flour to a recipe can make the bread stodgy. If you continue to knead, the flour will slowly absorb the water as the gluten is developed and will come together to form a nice smooth dough. This could take up to 20 minutes. Once you have a nice smooth dough, place back in the mixing bowl, cover with clingfilm or a damp tea towel and leave to prove until it has doubled in size. This should take no longer than 1 hour. Turn out on to the work surface and press down firmly to remove any large air pockets. Divide into 8 equal sized pieces and shape into whatever shape you fancy. It should be quite elastic. 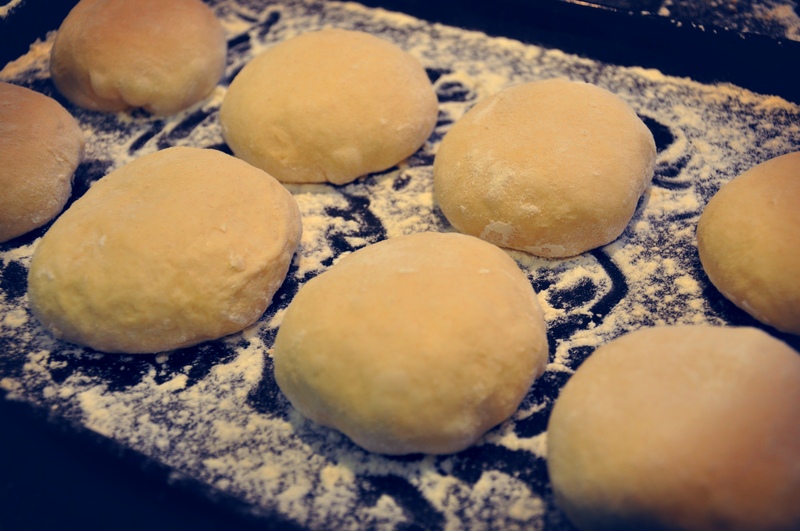 To make round rolls, continue to pull the outside of the dough into the centre, pressing down. 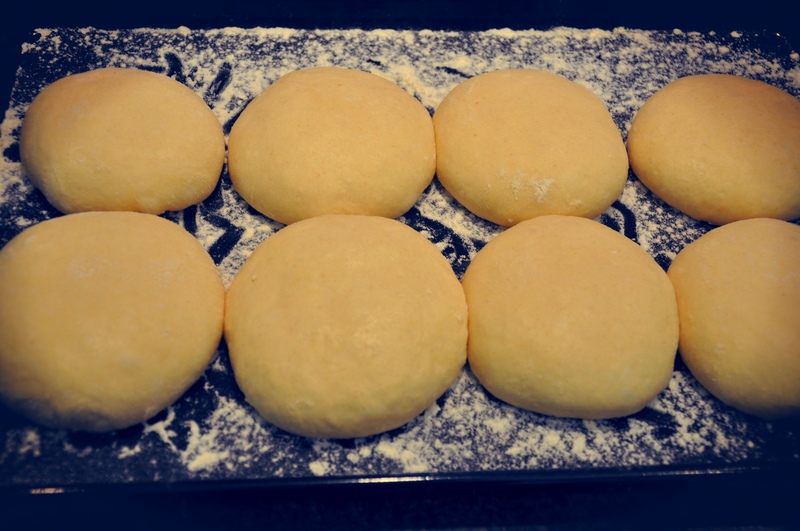 Continue to work round in a circle until the dough feels quite tight and unwilling to be stretched further. You should now have a number of seams on the top, now turn over and simply use your hand in a claw shape to roll it into a nice ball. have a look at this video if you are unsure. 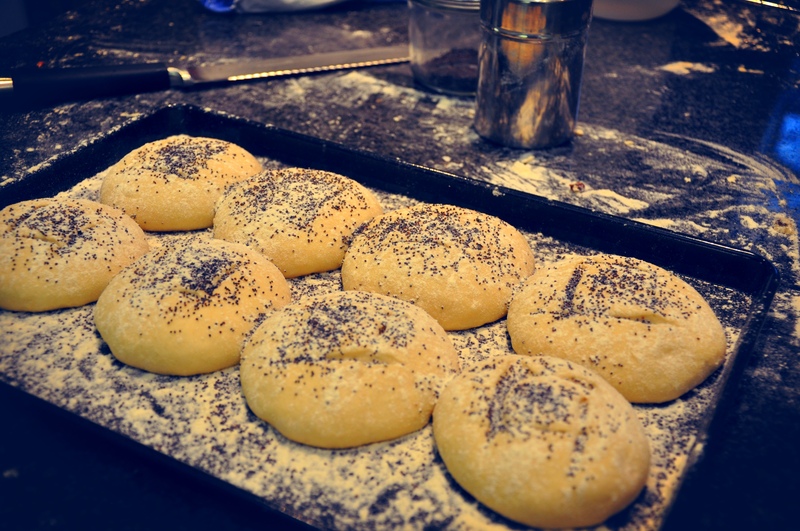 Once you have 8 shaped rolls, place on a floured baking tray about 1-2cm apart, during the second proving they will expand again and touch each other, this is what will create the lovely soft bread when you tear them apart. Cover and leave to rise again for about 30-45 minutes. Once risen again, slash the tops slightly with a bread knife to allow rising without splitting when in the oven. Spray with a little water and sprinkle with poppy seeds if using. Bake in a preheated oven at 200 degrees for 15-20 minutes. Leave to cool on a wire rack.